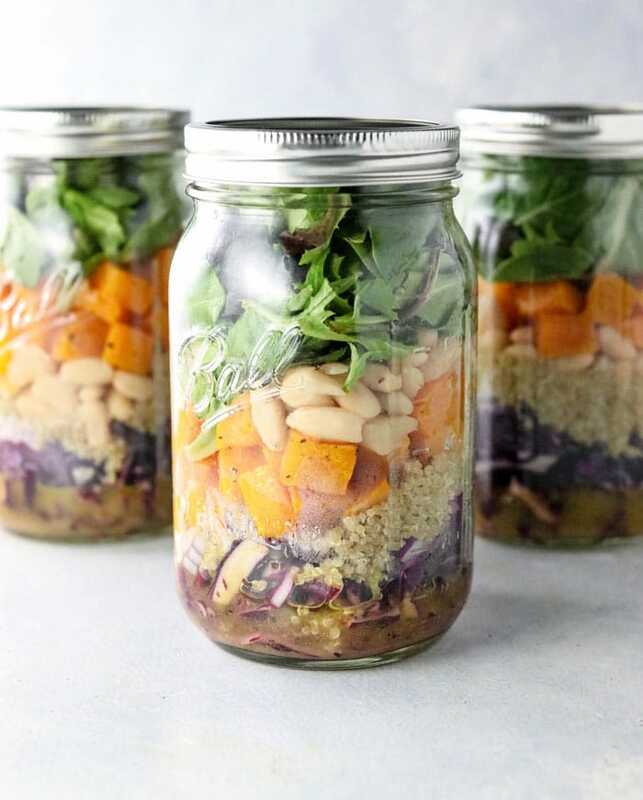 Successfully saved Fall Mason Jar Salad with Maple Cider Vinaigrette to your Calendar. You can also save the ingredients to your Grocery List. STARCH | Gluten-free, Dairy-free, Egg-free, Nut-Free, VeganThis hearty salad is makes a great packed lunch or make-ahead meal. Featuring roasted butternut squash, protein-rich white beans, quinoa, and crunchy cabbage with a Maple Cider Vinaigrette.